There are only a brave few who go ahead and try every feature of the Japanese toilet, and also few who enjoy a visit to the toilet like anyone else. These artifacts, that have come from the future to make our moments of peace a little bit more pleasant, have a wide range of features that one cannot or should not miss, and must try. You can start managing them without even having to touch them by timing them, preparing it to be warm when you just wake up or to be cold in case you come heated from work. You can also control it with a remote control. In case you are someone who tends to be visiting the toilet in the night time, the Japanese type has a night light. Air conditioning for summer time, so you will not need to suffer melting ever again. The amazing Japanese toilet has a noisemaker that will emit any sound you like to isolate you when you are doing your necessities. 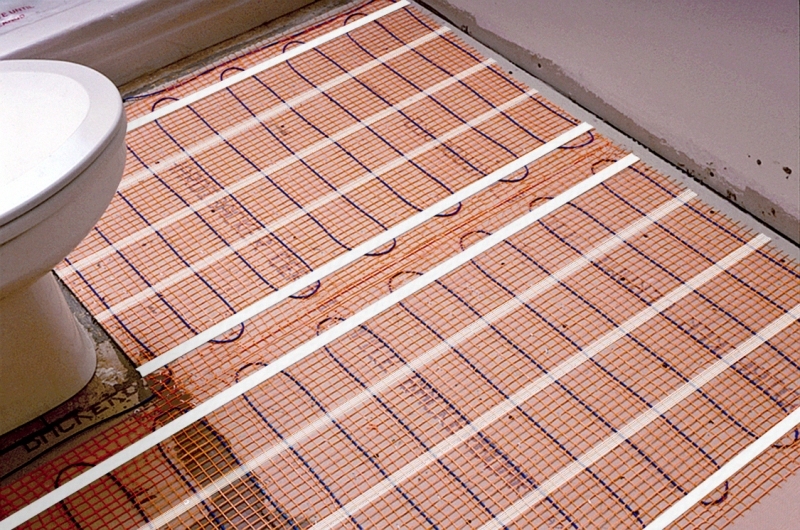 If its winter and its cold, don’t hesitate to use the warm air dry that will keep you warm. Once we have done what we came to do, there are many ways of cleaning, washing, clearing and whatever you want with the magic Japanese toilet. There is a jet which has a water pressure control that is adjustable below the toilet seat to spray your bottom, no more swipe. Of course, this water temperature is also adjustable. Try the turbo wash mode and experience what it is to have a real thorough cleaning. There is also a mode with soap if you are even more hygienic. After all this intense cleaning we come to the best part of the ritual in a Japanese toilet, a massage cleaning with a pulsating and/or vibrating spray. Let your sensations flow with this massage after the effort has been made. Did you think we were done already? Well, no not with the Japanese toilet. It has an air deodorizer for the bad smells we cannot avoid making. The lid is an automatically closed type, just in case you if you forgot to close it, so no more fights with your other half. And the cherry on the cake, it cleans itself so you don’t have to do the job no one like to do anymore. 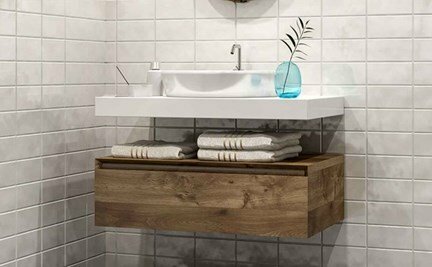 Something that many people seem to forget or overlook when re-designing or renovating their bathroom/bathrooms is that they need to, or they should consider what amount of space that they need for providing storage solutions for whatever toiletries, cleaning products, medicines, perfumes, cosmetics, towels and whatever else they tend to keep within the bathroom. It is important that you give this some good thought as it doesn’t make sense to go through all the time, effort and expense of redesigning your bathroom to finally find that you have nowhere, or not enough room for properly storing all the usual items that you would ideally like you have within the bathroom space. For some people it can actually require quite a substantial volume of space to offer room for everything, while others are more minimalistic and will not need much more than a small cabinet and perhaps a shelf or two for tooth brushes, shaving items and soaps. 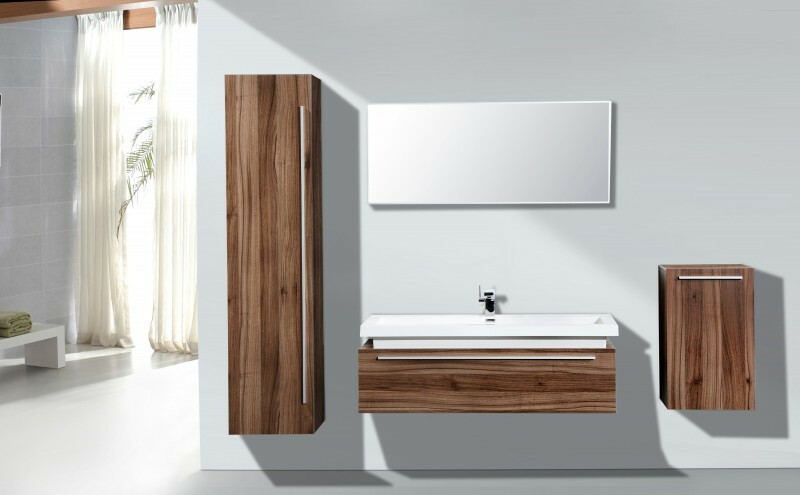 A wall hung cabinet, with or without a mirror – this type of bathroom unit would usually have a mirror fitted to the front and would offer storage space inside which is perfect for medicines, shaving items, perfumes and gels Etc. The mirror is also necessary for both men and women. An over the basin shelf – the shelf over the basin is perfect for storing things you use daily and need easy access to. So this would be tooth brushes, tooth pastes, razors, ear buds, dental floss Etc. A laundry basket – some people like to have their laundry basket stored within their bathroom, while others prefer to keep the laundry baskets in bedrooms – what type of person are you? 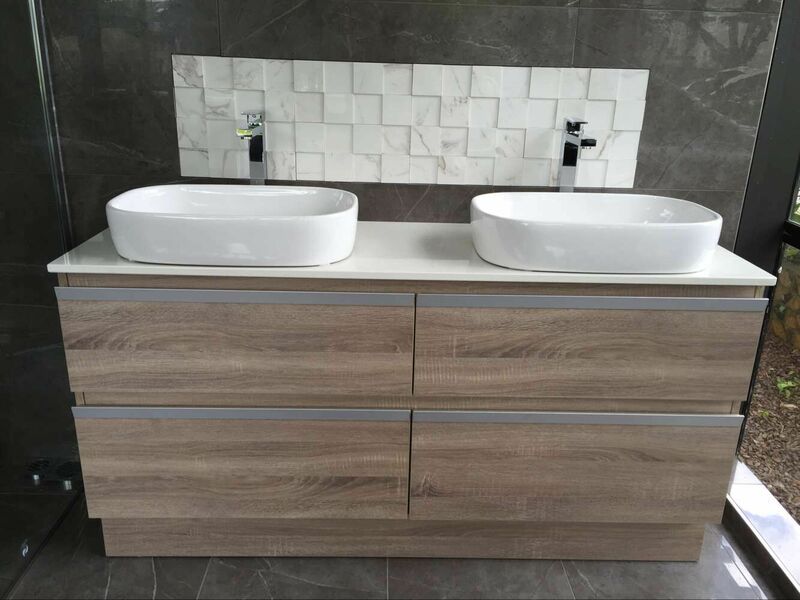 A bathroom vanity unit – The bathroom vanity unit with basin on top can also provide ample storage space within cupboards and some also are fitted with 1 or 2 or more drawers. Especially if you fit a double basin vanity unit into your bathroom, as these will (usually) come with a lot of storage space within them. Oak or solid wood storage units – If you need extra space for towels or other items then you should invest in a storage unit that will offer extra cupboard and drawer storage space solutions. Tall storage unit with shelving – If you have a lot of bathroom items to store and also perhaps photos/pictures and other decorative items that you want space for, then you should probably consider a tall storage cabinet with shelving on top. If there is anything I have missed then please let me know, but I think I have covered pretty much all common bathroom storage solutions? 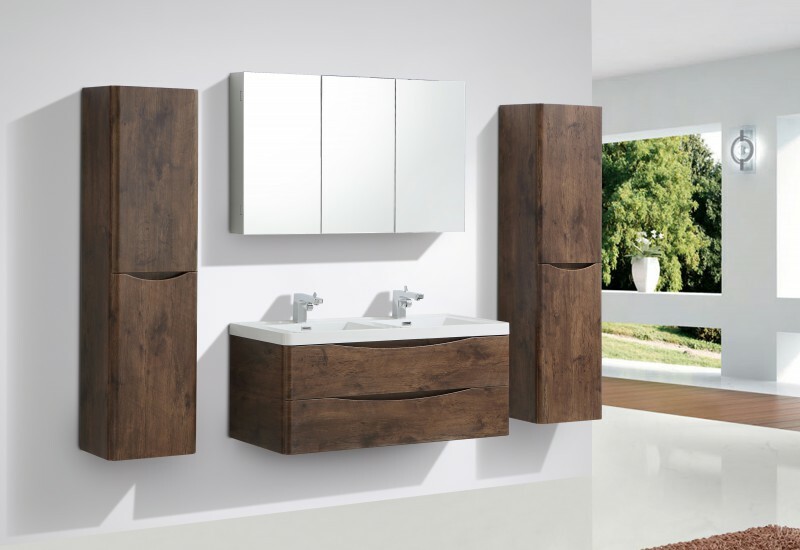 If you want to get any of the above mentioned units then you can actually find all in one place at the Bathrooms and More Store website which is a highly recommended online bathroom and home furniture store. For anyone that is currently planning, starting or working through a bathroom renovation, I wanted to make sure that you are all clear about one specific thing that recently dawned on me; after a thoroughly comfortable and enjoyable couple of nights during a recent stay at a fairly high-end hotel, I noticed when walking out of the shower that the floor tiles of the bathroom where in fact warm, actually just warm enough for me to get maximum pleasure from this touch of luxury, but not too warm for me to start worrying about the skin on my feet being harmed and in a way – cooked. This was during a stay in the South of Argentina, visiting Patagonia, so the outside was impressively cold, which made this unexpected touch of luxury and the warm sensation an experience that I felt very grateful for and to say the least I was very satisfied with the hotel in general. The experience I had brought me to the realization that under floor/under tile heating was a real game changer in respect of what I would desire in my ideal bathroom, and what I regarded as necessary bathroom facilities; I now have the opinion that all UK bathrooms should be fitted with heating beneath the flooring or bathroom tiling due to the long and aggressive winter months. Having heating beneath the flooring in the bathrooms across the UK would make the winter bathing experience less daunting and more acceptable for many, so this would lead to a nation of cleaner people J – I feel this is more than a valid enough reason for this bathroom function to be added to the list of essentials that all bathrooms need to adhere to in order to be deemed a being ‘fit for use’ Perhaps this could even be a movement that the Government in the UK could and should be backing; providing bathroom renovation grants to all and any UK homeowners wanting/needing to replace their current bathroom flooring or tiling with a system that will provide the under floor heating. Food for thought hey! What do you all think about this idea? After selecting, buying and fitting your chosen bathroom furniture and fittings, completing the stylish tiling patterns and adding the last coat of new, fresh water resistant paint, you will be nearing the end of what would have been a challenging task. 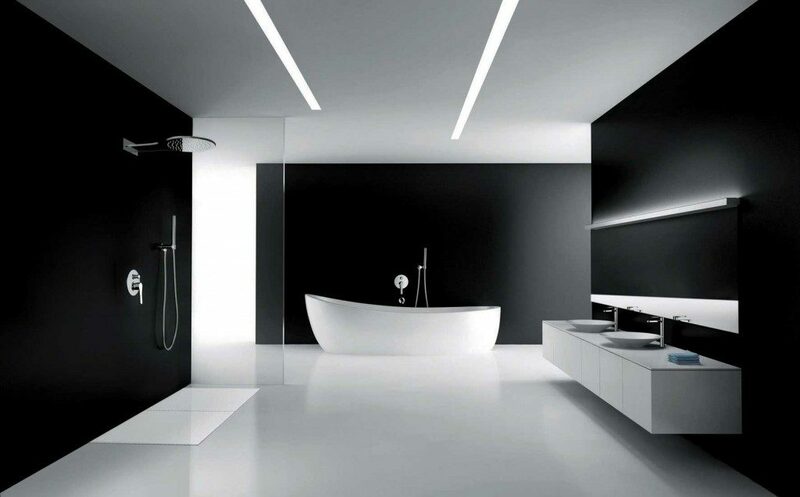 Although there may have been an important part that is necessary for achieving the perfect bathroom experience that has been overlooked; the lighting, or lighting system! Making sure your bathroom is fitted with a quality lighting system is more important than most people think, and ideally it is best to have two or three lighting systems so that you are well covered for all situations. Perhaps you are thinking that having three different lighting solutions in the bathroom is going a bit too far and is a bit excessive, but actually all three are quite necessary for a bathroom that will offer the ‘perfect experience’ for all occasions. The most obvious lighting solution that all bathrooms will have and actually every room of the property will have, is the usual ceiling lighting. For the bathroom though, you will sometimes come across pull string on/off switches and also it is quite popular to use dimming switches in the bathroom, to give you the option of setting a low lighting for more of a relaxing experience. For the ceiling lighting, my advice is to ensure that the lighting is powerful and plentiful enough to offer a bright light to the entire bathroom, and as we are going to fit 3 lighting systems in this bathroom, you needn’t worry about fitting the dimming switch. Fitting a shaving light to the mirror or above the mirror will be especially important if there will be one or more adult males making use of the bathroom. Shaving using just the ceiling light can be quite frustrating and inefficient. The shaving light is also useful for when applying make-up and for any other circumstances when needing to focus on the face. 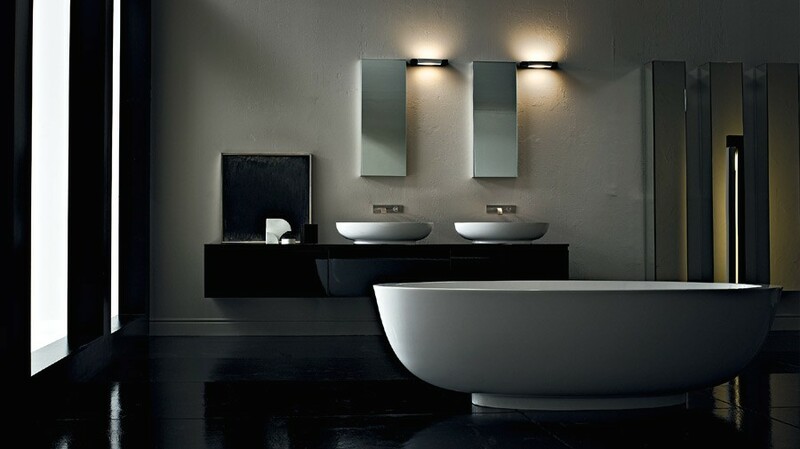 Mood lighting – You may have noticed in recent years that there are more mood lighting systems being fitted to bathrooms and other rooms of the more modern looking properties, and they can work very well. You need to ensure you invest in a good quality system and carefully plan out where you will be fitting the lighting strips and also choose the colours that help you feel relaxed and calm. So, the 3rd lighting system that you may not have been considering before will likely have been the mood lighting system. The advances in technology and equipment have made mood lighting much more affordable as well as now being of a much better quality. So more and more people are choosing to fit their bathrooms with some mood lighting, giving them the option of soaking in a warm relaxing bubble bath, and reaching an elevated level of calmness and comfort with the perfect lighting for them. So you are finally going ahead with the challenging task of redesigning and renovating the bathroom at home, and after many hours of discussions, browsing countless shops online and offline and comparing prices up and down the country, just when you think you are finally finished with the planning and can move on to stage two; the buying & fitting, somebody goes ahead and ruins your day by throwing in the spanner of a question, being ‘so, are you choosing to tile the bathroom walls or will you be painting them?’ All of a sudden you are back at the drawing board, back online and re-evaluating how much you are spending and what exactly you are spending it on. Don’t forget also, that if you decide that you are going to be painting the bathroom walls, then you need to get yourself some mold resistant paint, which is specially formulated for using in bathrooms. If you are finding it tricky to find the right colour for your bathroom that is also mold resistant, then you can actually also use paint with a semi-gloss or high-gloss finish, as these two types of paint will also offer some resistance to the damp conditions, and although they are not in-fact mold resistant, they are easily wiped down and cleaned. So if you spend a little time now and again just caring for your bathroom and maintaining a clean room, then you will be able to avoid any issues with mold for many years to come. 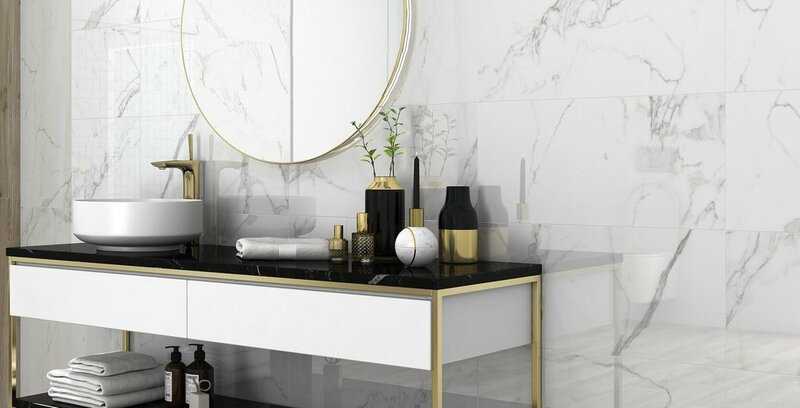 Tiling the bathroom will probably be a little more daunting and also expensive, however if it is done right it can make a huge difference to the overall finish of the bathroom; turning a normal home bathroom into an exquisite, classy bathroom that gives off a sense of luxury & success. 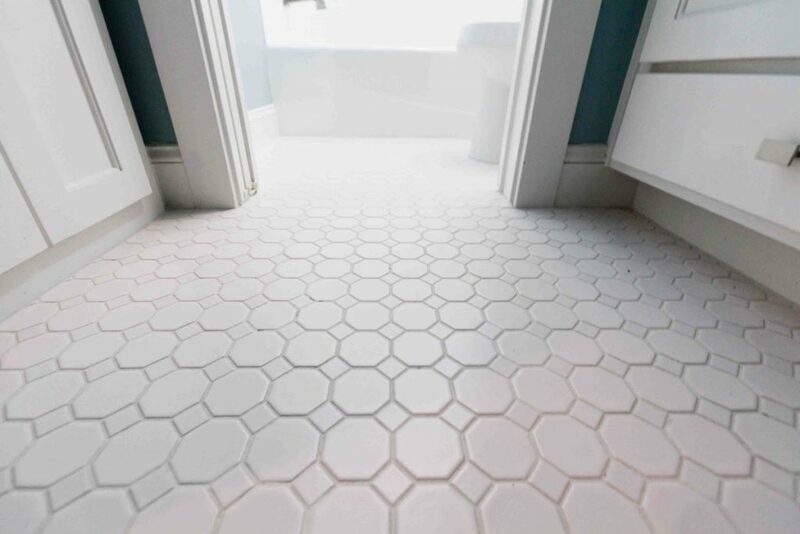 Some people also choose to tile their bathroom floors, which again when done well can really come off looking fantastic, while also being easy to clean and maintain. There are so many styles and types of tiles you can choose from in today’s market too which will make this task quite fun, but also quite tricky at the same time. You can even buy and tile your bathroom with 3-D tiles which can provide quite an interesting look and feel to the room. 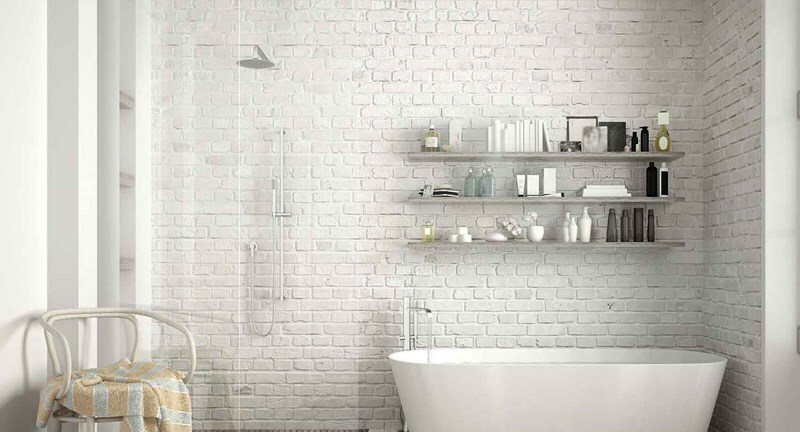 Ultimately, if you choose to tile the bathroom instead of paint it, then you are opening up yourself to a great many more options and will be allowing yourself to be a lot more creative with what you do in relation to the tiling. So if you are a creative person at heart, then you should probably go with tiling and enjoy the challenge.